Some may consider it a dramatic week for the Lee County school district. But today in a workshop meeting, other members on the board didn’t agree with Morgan’s words and didn’t hold back to let her know. “My answer to your email that you sent, and I said I was very disheartened I was very disappointed,” said board member, Gwynette Gittens. “It started a firestorm and I personally was insulted since I’m one of the 6,” said board member, Betsy Vaughn. It may have started a firestorm, but the frustrations weren’t solely on Morgan, they were with each other as a whole. Some board member said not knowing each other well enough plays into that. 3 of the 7 women were sworn in in November. Debbie Jordan, Gwynetta Gittens, and Betsy Vaughn. Gittens took that time to express how she’s felt about some decisions that were made, specifically about the districts executive salaries. “I asked the question this is great, how are we going to pay for it, and I was told that we found, $22 million dollars that was a concern to me,” said Gittens. “When the comment is made that we found the money it’s not like the money was lost, the money is coming from literally months of hard budget work,” said Adkins in response. Even with questions concerning budgets and frustrations with one another, Adkins seems to have the trust of the board. “I’ve listened to some of the concerns that the board members have raised and I’ve taken it to heart and there were some things that I’m working on, and I’m going to be working with my team on,” said Adkins. 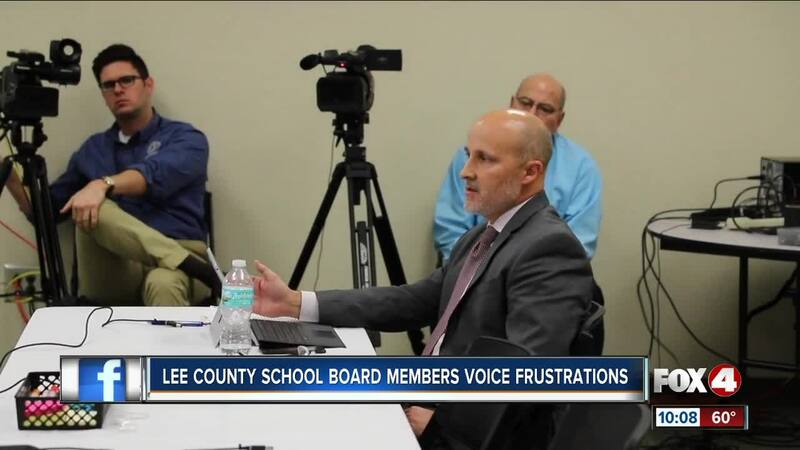 Fox 4 did speak with a board member after the meeting and she tells us that they will continue to work together to create a better district for Lee County students.